If you have seen any TV advertisements for betting companies, you will recognise those payoff lines. The first is spoken by professional cockney, Ray Winstone in the Bet Free seex foiv ad. The second is spoken at the end of many of the others. It was a slogan coined by something known as the Senet Group in an attempt to promote responsible gambling, or reeshponsheebull gehmbleen as old Ray would have it. There is a reason for such a statement to be made. Gambling can very easily become an addiction. Unlike those other addictions, smoking and alcoholism, it can wreck lives in an instant. Smoking, as you know from previous editions of this blog, is a habit I abhore. I have alluded to it being a very slow and expensive form of suicide. Alcoholism can be described similarly, except in its case, it is not just the user whose life is ruined. Families of alcoholics would attest to that. Gambling, however, can change lives in a single moment of madness. I recall a comment made on the radio as a joke many years ago... The only reason anyone gambles is to alter their lifestyle. I suggest that the only way to bet is to put a whole year’s salary on a horse. Win or lose, your lifestyle will change. Yes, highly amusing but, sadly, very true and too many people gamble and lose more money than they can afford to waste. Because I watch quite a lot of footy on TV, I tend to see a lot of adverts for gambling companies. Far too many, in fact. Those in charge of those companies know that footy fans are not averse to the occasional bet. With the constant bombardment of the promise of big winnings, is it any wonder that people become addicted? Similarly, these people are well aware that it is not only men who can become addicted, so during programmes appreciated by the ladies... soap operas, costume dramas, etc... the advertising breaks are crammed full of bingo and slot machine type on-line gambling companies. The gambling machines found on bookmakers’ premises have been labelled the ‘crack cocaine of gambling’. It is possible to bet £100 every 20 seconds. Last year government ministers ordered a clampdown on such machines citing that they were responsible for addiction, debt and family breakdown. The recommendation was that the maximum single bet should be restricted to £2 instead of £100. A great idea and surely one that anyone with a modicum of sense would agree with. Our esteemed Chancellor Mr P. Hammond does not agree. He claims that the machines make a valuable contribution to the country with £400 million being paid in tax to the treasury each year. The actual amount being made from these machines is £1.8 billion. The bookies are making £1.4 billion! That is profit. It isn’t the amount being put into the machines. Pure profit. Presumably, there is some money paid out in winnings. £1.4 billion. That is obscene. The entire population of Britain is currently approximately 65 million. The amount raked in from these machines amounts to £27.69 per man, woman and child in the whole of the UK. I never play such machines and I really don’t know anyone who does; I suspect that the average amount lost by the people who actually play them runs into the thousands rather than tens or hundreds of pounds per person. I recall the days when cigarettes used to be advertised on television. Bear with me; this is relevant. Eventually such ads were banned. Cigarettes can not be advertised anywhere nowadays; it has become the industry which must not be mentioned. So why has gambling, a far more dangerous industry, in my view, been allowed to advertise? In my opinion, it should be treated the same way as the tobacco industry. I also believe that all forms of on-line gambling should be either banned or, at least, restricted to ‘business hours’. I reckon a lot of silly bets get placed when the gambler is tired, bored, or drunk. At least if it is only possible to gamble during the daytime (the way it was before on-line gambling took off) anyone placing bets should be reasonably alert. I also remember the days when tobacco companies were the main sponsors of sports competitions... John Player was heavily involved in motorsport. Rothmans produced a football yearbook (Now the Sky Sports Football Yearbook) which was revered by anyone wanting to know the minutiae of the game. Alfred Dunhill was a great golf sponsor. Benson and Hedges were similarly financing cricket. Basically, tobacco companies were the biggest sports sponsors and despite spending millions on those sports, it was a cheap way for them to advertise when compared to other means. When tobacco became ‘unmentionable’, beer companies seemed to take over and it was they who used sport sponsorship for advertising purposes. Many big football clubs had the logos of brewing companies plastered all over their shirts. Nowadays, it is the betting companies who are making the big bucks and are using sport sponsorship as a cheap means of advertising. Last season, exactly half the teams in the English Premiershit were sponsored by bookies. Not right, says I. You may be wondering why I am on my high horse about this. As I stated earlier, lives can be changed in an instant. Smokers and drinkers may be slowly committing suicide by indulging in their habits, but only gamblers actually do take their own lives because they have lost everything to the bookies and ended up in debt. In recent months, I have heard of several deaths attributable to gambling debts. Why are these betting companies allowed to get away with it? Saying, words to the effect of ‘don’t bet too much’ at the end of an advert isn’t going to stop an addict any more than don’t drink too much will stop an alcoholic. It is time to stop this industry which is already too big and dangerous. I’m not saying gambling should be banned, but I believe the responsibility Bet365 talks of lies at the feet of the businesses, not the punter. Reduce the temptation to bet for starters. You may think that this has been a very odd rant from somebody who gambles on line, every week. You would be right to think that. However, in the four years of writing the blog and placing my £2.20 per week bet, I have put less than £100 into my Bet365 gambling account. That works out at less than 50 pees per week. You see, I really do gehmbull reeshponsheebly. Were any famous or notorious people born on the 4th of November? Of course. Here are some I’ve even heard of. William III 1650 (The orange bloke. No doubt certain bowler-hatted gents will be drinking a toast to him. ), Will Rogers 1879 (Stage and screen actor, vaudeville performer, cowboy, humorist, newspaper columnist and social commentator. At the height of his fame, he was the highest paid Hollywood star. ), Harry Ferguson 1884 (Who? One of the most important people in the history of motoring. Designed and developed the small affordable farm tractor. 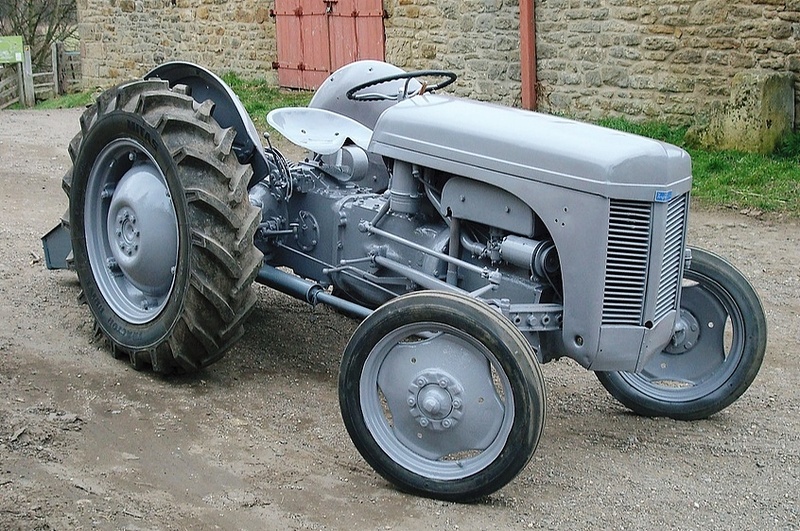 His ‘little grey Fergie’ was built by the thousand after WWII. Indeed, there is even an animated character called... can you guess? That’s right - 'Little grey Fergie' - Hmm... That is a bit... erm. Yes, definitely. Harry Ferguson also designed the first four wheel drive racing car and the same system was used for the Jensen FF in 1966. ), Gig Young 1913 (A rogue. ), Marguerite Patten 1915 (Food writer and broacaster. George C. Scott played her on film. ), Walter Cronkite 1916 (‘And that’s the way it is.’), Art Carney 1918 (The Archer. One for fans of the Batman series of the 1960s. ), Cameron Mitchell 1918 (Uncle Buck in The High Chaparral. ), Martin Balsam 1919 (An angry man. ), Loretta Swit 1937 (Hotlips. ), Laura Bush 1946 (Mrs Dubya. ), Robert Mapplethorpe 1946 (Famous snapper. ), Rodney Marsh 1947 (Crickety wickety keepery bloke. ), Alexai Ulanov 1947 (Skatey bloke. ), Jacques Villeneuve 1953 (Racey car bloke. ), Chris Difford 1954 (Musician. A bit of Squeeze. Co-wrote all the hits with Glenn Tilbrook. A clip? Most definitely. Here’s Cool for Ca-a-ats. ), James Honeyman-Scott 1956 (A Pretender. Another clip? Here’s Brass in Pocket. Er... What exactly is Detroit leaning? ), Nigel Worthington 1961 (Footy bloke. ), Lena Zavaroni 1963 (Troubled singer. A clip? Here’s her most famous song. ), Sean Combs 1969 (Rapper. Can’t quite decide on a suitable monicker; he’s been Puff Daddy, Puffy, P. Diddy and Diddy. I’m guessing he has never been to Scotland where ‘Diddy’ is not something anyone wants to be called. A clip? Here’s I'll be Missing You. ), Gregory Porter 1971 (The cat in the hat. Another clip? Here’s Mona Lisa) and Luis Figo 1972 (Footy bloke.). I was a great fan of the group Squeeze when I was a young girl, although some of the lyrics of their songs were a bit risque. I didn’t know what give a dog a bone meant when I first heard Cool for Cats. They did another one about a seaside caravan holiday and I was shocked to realise what the words meant. I can’t remember what the song was called, though. Can you help? A scrappy first half saw Jordan Archer in the visitors' goal deny Danny Ward and Junior Hoilett with good saves. Millwall striker Steve Morison saw his effort saved when through one-on-one with Neil Etheridge. Tariqe Fosu saw a very half-hearted penalty appeal rightly ignored by the referee in the 24th minute after going to ground in the box very dramatically. Blackburn overcame the second-half sending-off of Elliott Bennett to hang on for a goalless draw at Wigan. Bennett picked up his second booking after 58 minutes for simulation, but Wigan were unable to take full advantage against 10 men. The closest they came was when Gavin Massey hit the bar from just outside the penalty area, but the visitors will feel they were good value for their point after defending resolutely. Stanley dominated the first half and got their deserved goal through Sean McConville, the captain taking the ball inside the box from Billy Kee and smashing it home. However two minutes later, Barnet were awarded a penalty with Jack Taylor fouled in the area by Jordan Thorniley, but Bees forward Jamal Campbell-Ryce hit the underside of the crossbar with his spot-kick and the ball bounced out to safety. The game then burst into life with three goals in eight minutes after the break. Stanley made it two on 51 minutes when Thorniley's ball in found Jordan Clark, who fired it into the bottom corner. Barnet got one back when Campbell-Ryce made amends for his penalty miss, firing home from a tight angle after a surging run from Jack Taylor. Kee then got the ball off Clark on 59 minutes and drilled home from 15 yards. Striker Kayden Jackson then pushed the ball past keeper Craig Ross and finished with an easy tap-in. Both sides struggled in poor weather conditions. The visitors did at least test Lincoln goalkeeper Josh Vickers, but he stopped shots from Panutche Camara on two occasions. Lincoln’s Matt Rhead thought he should have won a penalty after being brought down by Joe McNerney and Mark Connelly, but play was waved play on. A Rhead header rattled the Crawley crossbar, however it proved to be the closest either side would come to scoring. Sorry to disappoint those of you who like to follow The Grambler’s betting advice [Are you mad? - Ed.] but, thanks to this being published a little later than usual, there are no predictions so there is no bet this week. A bit ironic given the week's subject matter. Teaser time. Yay! Last week I asked you which 17 year old became the youngest scorer of a First Division hat-trick in 1988. The answer was a Mr Alan Shearer in the days when he played for Southampton. Whatever became of him? One for this week? As it is the weekend when the first round of the FA Cup games are being played, what about an FA Cup question? In the 2001 cup final, Gerard Houlier’s Liverpool beat Arsene Wenger’s Arsenal 2-1. Arsenal’s team on the day included five English players and five French, who was the eleventh non-English, non-French player? Try that down the pub before you resort to Googly for the answer. And finally, Cyril? And finally Esther, I am reminded of the oddest show I ever went to at the Edinburgh Fringe. The artist I went to see was birthday boy Chris Difford. What is so odd about that, you ask. Nothing at all, I answer. The odd thing was that he shared the stage with another artist. Now, who might perform a stage show alongside Chris Difford? Glenn Tilbrook would be the obvious answer but, on this occasion, it wasn’t him. Another musician, then? The answer is once again, no, not on this occasion. Who was it, I hear you ask. Would you believe, Norman Lovett? Who? He was the original ‘Holly’ the computer in Red Dwarf. An unusual double act, I have to say. Standup (or on this occasion, sit down) comedian Lovett has a slow, deadpan delivery which I always find absolutely hilarious. See if you agree. Here is Mr Lovett’s first ever TV appearance from 1983 in our finishing (incredibly tenuous) link. Yes, the youth introducing him is Arthur Smith.